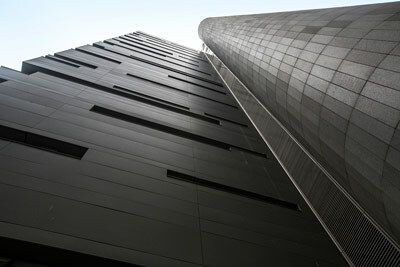 On April 29, SESC São Paulo’s brand new venue in the capital city, SESC Avenida Paulista, opened its doors with an exhibition that was especially conceived for the occasion. Shown for the first time in Brazil, "Bill Viola – Visions of Time", establishes a dialogue with the venue’s core concept: the triad of body-art-technology, featuring a selection of works from the past 20 years by the American artist, who is a pioneer in the genre and considered one of the most relevant contemporary artists in the world. The free-admission exhibition is on view until September 9 at Art I, an exhibition space occupying the new venue’s 5th and 6th floors, ideal for housing exhibitions and art installations that place emphasis on contemporary works. Presenting a cross-section of video installations produced in the past two decades, the exhibition was jointly curated by Kira Perov, executive director of the Bill Viola Studio, and Juliana Braga de Mattos and Sandra Leibovici, from SESC São Paulo. The selection presents a range of Viola’s work that allows for interpretations of the underpinning aspects of his artistic practice: in-depth research into the performing body; continuous exploration of image technologies, their features and forms of installation; and the deliberation and representation of aspects relating to the human existence, among which are the cycles of life, death and rebirth. In addition to pieces produced in the 2000s, such as selections from the Transfigurations series, Study for The Path and The Quintet of the Silent, visitors will also be able to appreciate some of his more recent work, such as Inverted Birth and the Martyrs series. Located on the ground floor, the venue’s auditorium will hold monthly screenings of 4 videotape programs showcasing Viola’s single chanel works from the 70s, 80s and 90s, which aim to provide a broader overview of the video artist’s work. 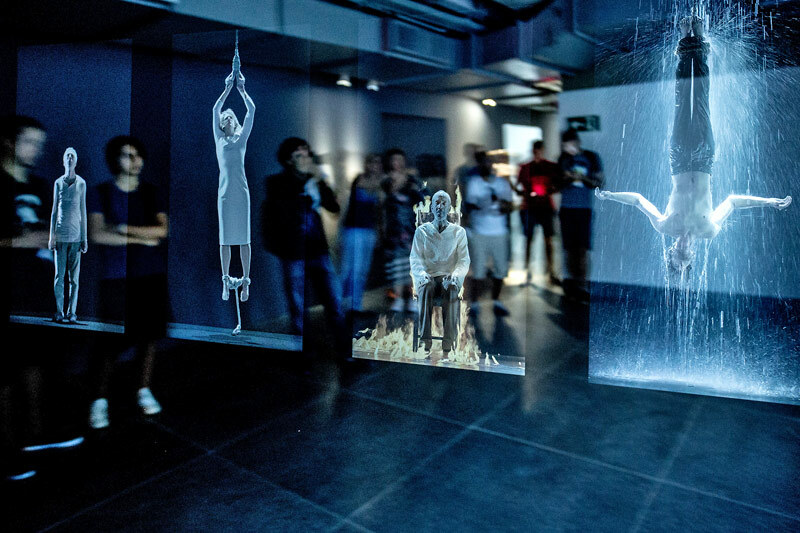 Danilo Santos de Miranda, SESC São Paulo’s regional director states, "the Bill Viola – Visions of Time exhibition takes place amidst SESC Avenida Paulista’s opening celebrations. In line with SESC’s mission, this initiative brings different audiences into contact with Viola’s relevant work while offering educational activities that aim to expand the possibilities for learning and discussing contemporary art production". Kira Perov notes: "Bill and I are very happy to be presenting this show to mark the opening of a new SESC venue in São Paulo". 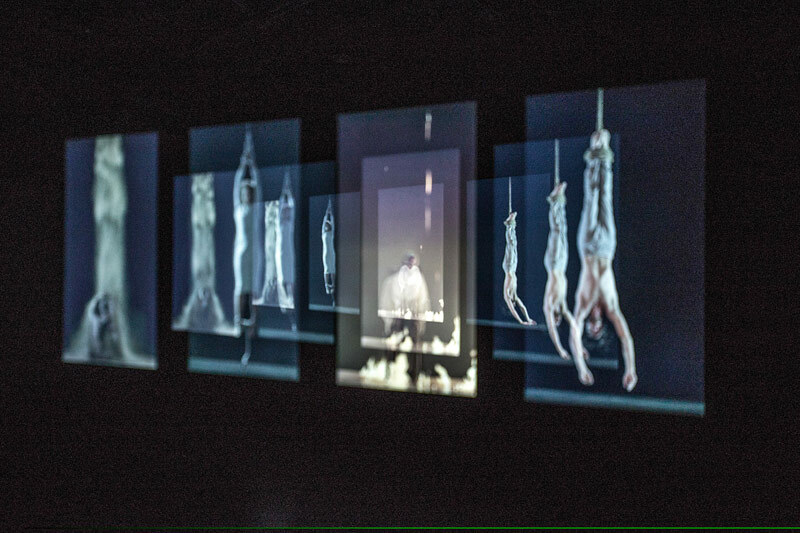 According to the co-curator "the selection of 12 video works, many of which will be shown for the first time in Brazil, includes the powerful video and sound installation ‘Inverted Birth’, from 2014, a reflection on the essence of human life, birth and death, and the transformation from darkness to light". Juliana Braga de Mattos adds: "By showing Bill Viola’s work and its distinct approach to the passage of time and issues relating to human transcendence, we hope to offer a different view on the tempos of everyday life." Since the ‘70s, when Bill Viola discovered video as a means to explore different states of the human experience, his work has been one of the main points of reference in contemporary art when it comes to the intensities and conditions that permeate time, relating them to image and sound, the body experience and the act of being in contact with others. Bill Viola’s work comprehends the dimension of time through the contact planes established between the body, video and the environment. In his video installations, time is experienced as a vibration, a tactile presence, a duration that activates visitors in space. It pulsates in the encounter between the piece and the recipient’s body, with a vibration that causes a physical sensation of movement, intensifying the contact plane between the body, video and the sensory environment. Bill Viola has always explored the features of current state-of-the-art video technologies to assist with his use of slow motion, extended play, and time-lapse effects. To slow down an action is to experience the inner meaning of that action, and to observe an object for a long time gives the viewer a deeper understanding of what the artist is looking at. Intangible forces, such as light, and the forces of the elements of nature - fire, water, air and earth, emanate from his works and represent places of spiritual expression stemming from a point where East meets West, found in the mystic teachings of Buddhism, Islam, and Christianity. In his immersive video environments, the larger themes of human existence are present, the questions of the cycle of life—birth, death, rebirth— allowing the visitor to reflect on them in their own personal way. Bill Viola is an American artist born in 1951 in New York. From 1969, he studied at the College of Visual and Performing Arts of Syracuse University, Syracuse, New York, graduating in 1973. During the 1970s, Viola assisted Nam June Paik and Peter Campus with various projects, and between 1973 and 1980 worked with the composer David Tudor and the avant-garde music group Composers Inside Electronics. In 1978, and again in 1983 and 1989, the National Endowment for the Arts awarded Viola a Visual Artist Fellowship for his work in video. From 1980 to 1981, he lived in Japan and was an artist-in-residence at the Sony Corporation’s Atsugi Laboratories in Atsugi, Japan. He received a Video Artist Fellowship from the Rockefeller Foundation in 1982. In 1983, he taught video at the California Institute for the Arts in Valencia. He received the Polaroid Video Award in 1984, and spent part of that year as artist-in-residence at the San Diego Zoo. The John Simon Guggenheim Memorial Foundation presented Viola with a video stipend in 1985. In 1987, he won the American Film Institute Maya Deren Award, and two years later, a John D. and Catherine T. MacArthur Foundation Award. In 1993, he was the first recipient of the Medienkunstpreis, awarded by ZKM Karlsruhe, Germany, and the Siemens Kulturprogramm. In 1995, he was awarded an Honorary Doctor of Fine Arts degree from Syracuse University. Among Viola’s numerous individual exhibitions since 1973 are Projects, the Museum of Modern Art, New York (1979); Bill Viola: Survey of a Decade, Contemporary Arts Museum, Houston, Texas (1988); Bill Viola, Fukui Fine Arts Museum, Fukui, Japan (1989); Bill Viola: Unseen Images, Kunsthalle Düsseldorf (December 19, 1992–February 28, 1993); Moderna Museet, Stockholm (April 4–May 23, 1993); Museo Nacional Centro de Arte Reina Sofía Madrid (June 10–August 22, 1993); Musée cantonal des Beaux-Arts Lausanne, Saint-Gervais Genève (11–28 November, 1993); Whitechapel Art Gallery, London (December 10, 1993–February 13, 1994) . Viola represented the United States at the Venice Biennale in 1995. In 1997, the Whitney Museum of American Art in New York organized a major 25-year survey of his work, which travelled to six museums in Europe and the United States. Since then, major exhibitions of Viola’s work have been organized by the J. Paul Getty Museum (2003) and the Mori Art Museum in Tokyo (2006). In 2017, a retrospective exhibition of his work was on view at the Guggenheim, in Bilbao. Viola lives and works in Long Beach, California. In Brazil, his work has been shown in group exhibitions, such as the 9th Videobrasil Festival in 1992; the "Eu fui o que tu és" (I was what you are) exhibit at Paço das Artes, in 2012; the Curitiba Biennial, in 2015; and the solo exhibition "Site of the Unseen" at Centro Cultural Banco do Brasil, in 1994, curated by Marcelo Dantas. Kira Perov is executive director of Bill Viola Studio. She has worked closely with Bill Viola since 1979, managing, creatively guiding and, more recently, assisting in the production of his videotapes and installations. She edits all Bill Viola publications and also organizes and coordinates his exhibitions worldwide. Kira Perov earned her Bachelor of Arts (Honors) in languages and literature from Melbourne University, Australia, in 1973. A number of special programs featuring videos by the artist from the '70s, '80s and '90s will be screened as part of the exhibition. Ground Floor. Free admission. Age: 12+. Tickets can be collected 30 minutes prior to the screening.